to give feedback on important research happening at Price. 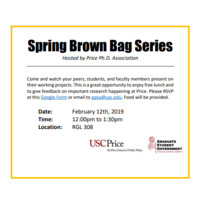 Please RSVP at this Google Form or email to ppsa@usc.edu. Food will be provided.